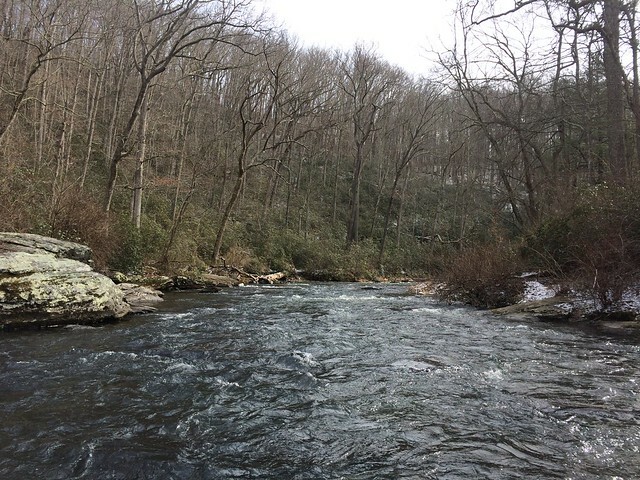 The Gunpowder River is flowing at 61 cfs, starting the day at 37 degrees F and it is carrying a little color. It’s never easy to catch fish consistently at this time of year as water temperatures linger in the mid- 30’s. That said, persistence pays off, as demonstrated by Seth Hinder who has put in a lot of time fishing the Gunpowder all winter. He caught this 17 inch brown swinging and stripping a zonker downstream erratically. Nice work Seth! This weekend should see a break in the freezing nighttime temperatures, this will help get that water temperature up which will stir up the insect, then, trout activity. The weather is forecast to be cloudy, still and wet, ideal for some early season trout fishing! 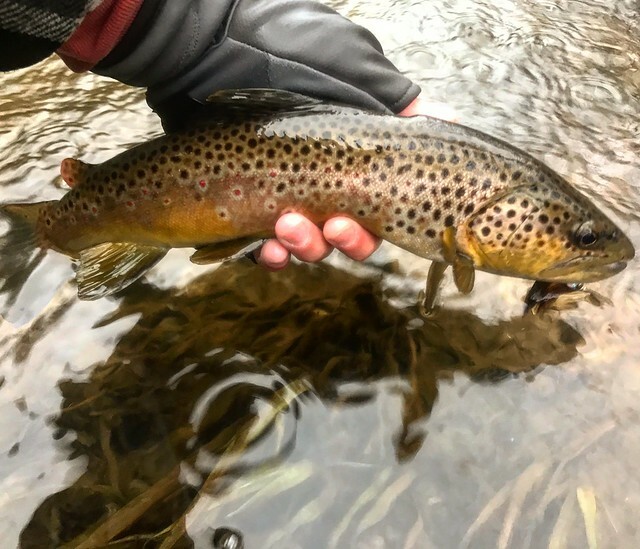 This entry was posted in fishing report on February 10, 2018 by Gene Howson.